Telephone: Please note that our landline phone is currently not operational, in the meantime please use email to contact us. 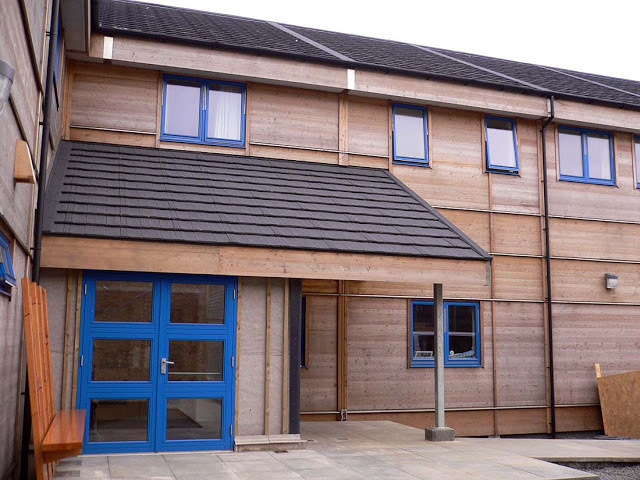 We regret that due to a fire on 10th March 2019, we are unable to take bookings for the foreseeable future. 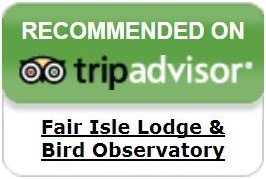 The Observatory offers 3-star, full-board accommodation to a high standard. 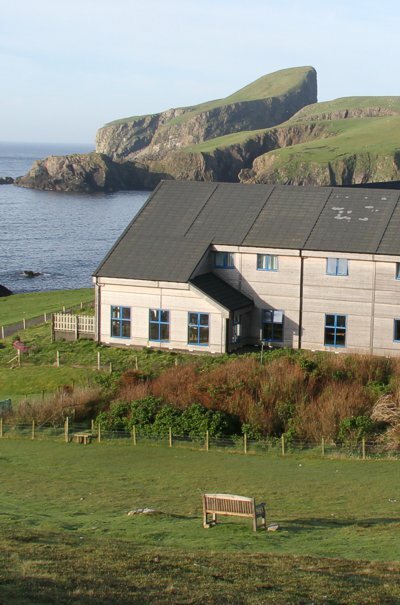 We have a choice of single, double, twin and family en-suite rooms, with one disabled-access room on the ground floor - many with spectacular views. 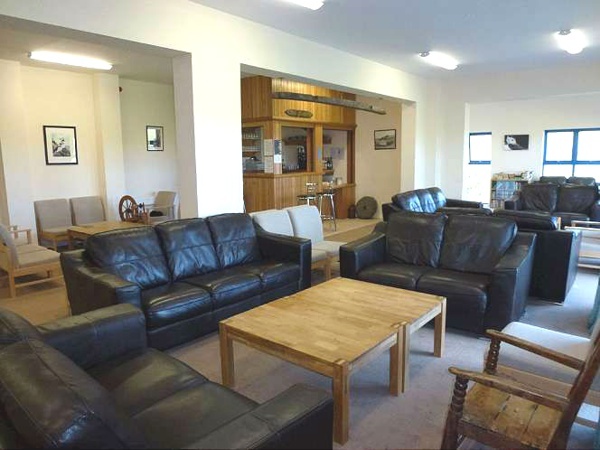 Our accommodation rates include all meals (see below). 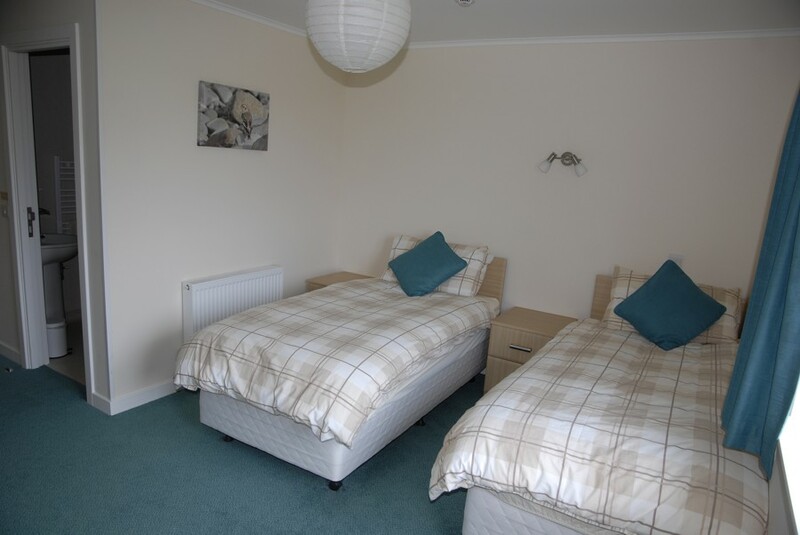 All rooms have en-suite shower and toilet facilities and there are two extra, general-use bathrooms with toilets and hairdryers. 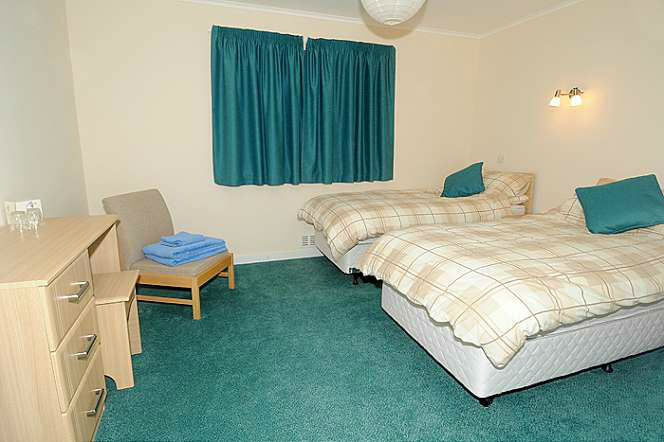 Towels, bed linen and a few basic toiletries are provided. 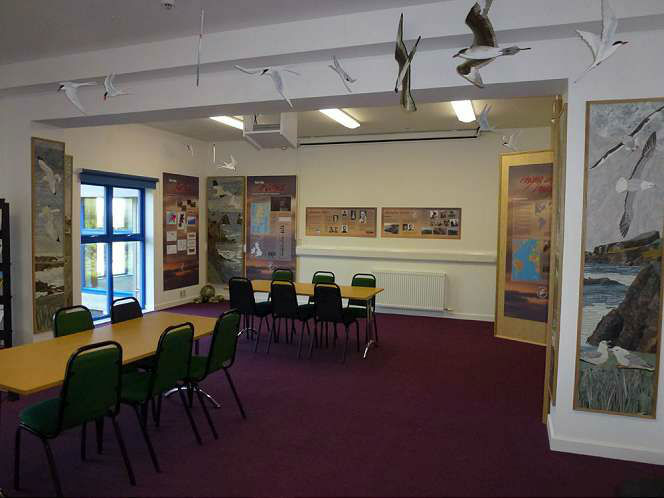 Observatory facilities and services are available to both guests and visitors. Please note there may be a small charge/request donation for some services. All Ranger Service activities are free of charge. 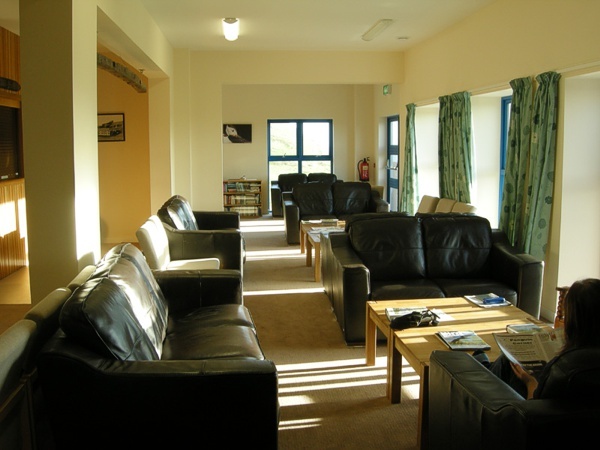 Meals are provided on a set menu, set time basis (cooked or cold breakfast, hot lunch, evening meal, late hot chocolate and home bakes). 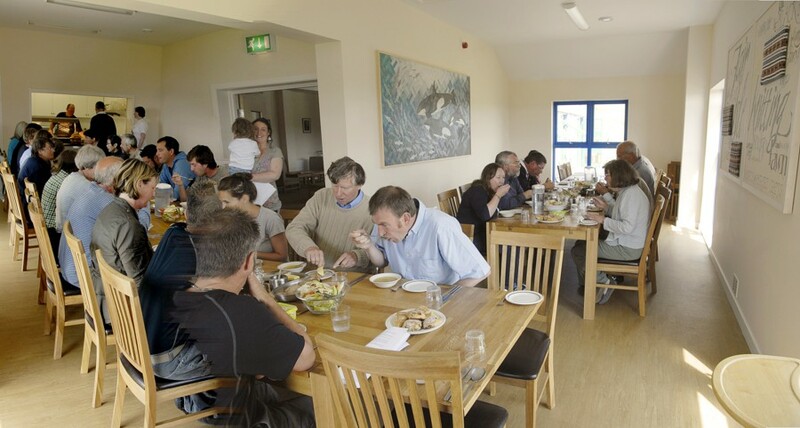 Guests and staff, and their children, eat together, providing a good opportunity to discuss the day or find out more about living and working on the isle, with meal times set to fit the working routine of the Observatory. A packed lunch option is available if ordered the previous day. Note that on a Sunday there is a continental breakfast and the main meal is at midday. 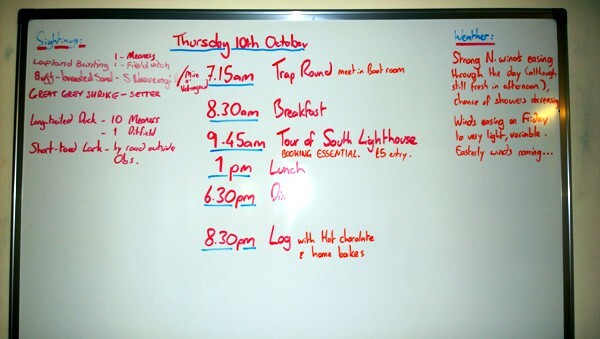 Meals are available to non-residents and must be booked in advance (at least 24 hrs where possible): breakfast £11 at 08:30, lunch £13 at 13:00 dinner £16 at 18:30 (note that times can vary but will always be posted on the whiteboard in the lounge). 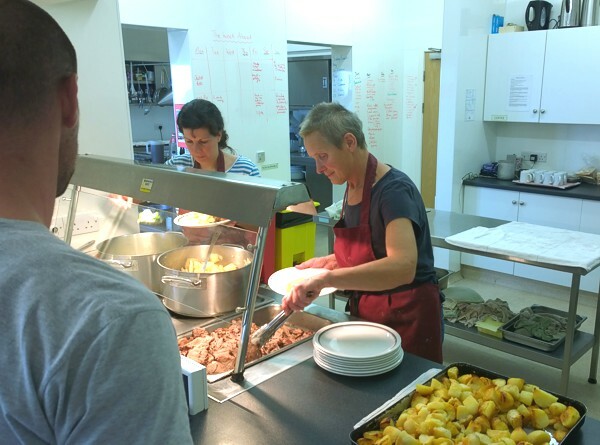 Our catering staff will endeavour so far as is reasonably practicable to accommodate special diets such as for example vegetarian, vegan, gluten-free and dairy-free but we require to be notified of this in advance at the time of your booking. Due to our remote location, the constraints on the catering operation and the limitations on access to medical care in the event of an emergency, the Observatory is regretfully unable to accept guests with serious contact allergies or those whose medical conditions may be triggered at low levels of exposure. 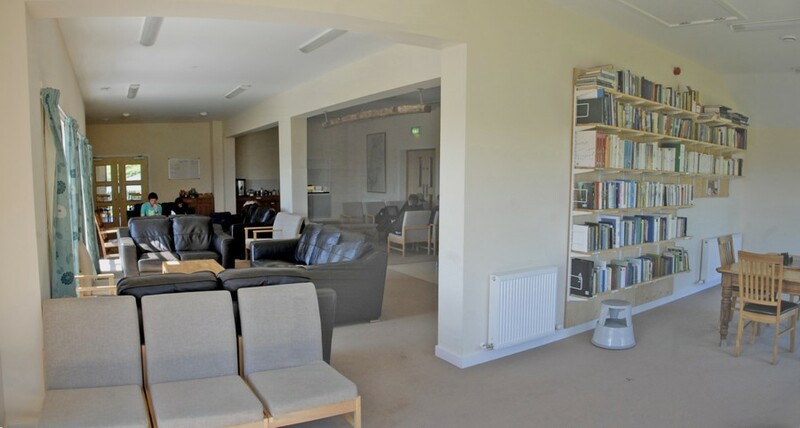 Our comfortable, bright and spacious lounge has great views of Sheep Rock, the Haven and of course the Observatory garden (for birding in comfort!). 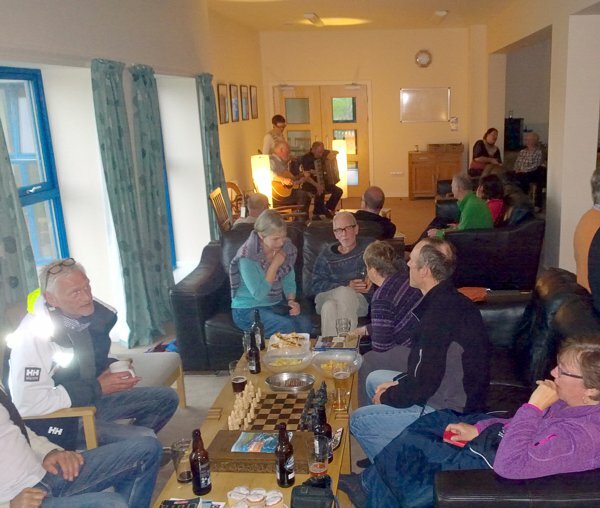 It is a place to relax, socialise and celebrate. Free internet access for guests; a small charge applies to non-guests. 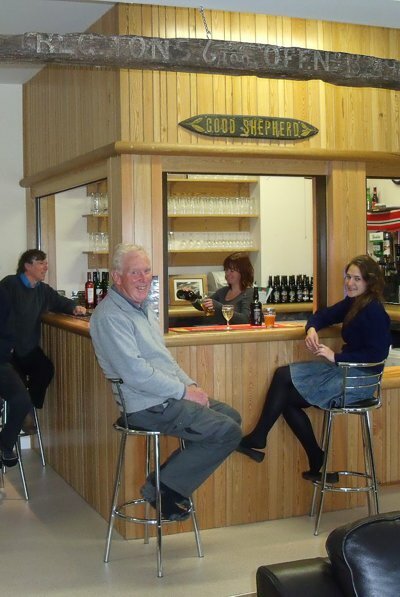 Well-stocked 'Good Shepherd bar' with range of Shetland and Orkney ales, wines, spirits and soft drinks. 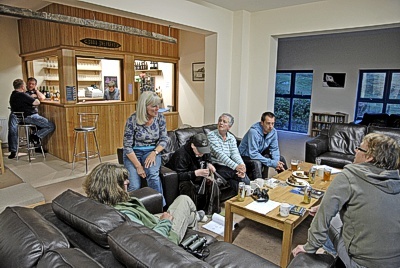 Open from 5.45 p.m. to 11 p.m.
Venue for regular evening talks. Mobile phone coverage on the island is generally good, but patchy inside the Observatory itself. It is limited to Vodafone (with Mobile by Sainsbury's and Talkmobile) and O2 (with Tesco Mobile). Vodaphone has the best coverage, with O2 also reasonable. Note that EE and Orange mobiles will not get a signal on the island. You may like to consider buying a cheap Vodafone pay-as-you-go SIM card to bring with you as SIM cards aren't available on the island. There is no payphone in the Observatory. Washing machine and drying racks available. £4.50 charge for use, washing powder provided. FIBO regrets that it cannot accommodate dogs (except assistance dogs). Amongst various activities available, visitors can see birds being ringed, take part in guided walks and the evening bird log and listen to talks. 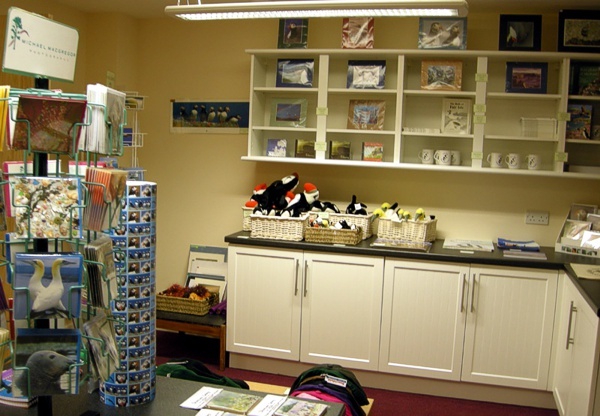 Learn more about activities at the Observatory and elsewhere on the island. Day visitors, and those staying elsewhere on the island, are welcome to make use of the Observatory facilities and participate in activities offered by the Observatory whilst they are on the island. 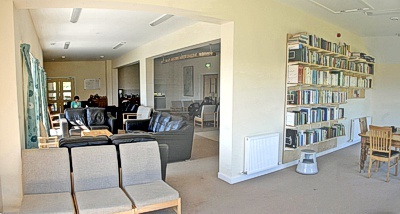 Although we do not have set opening hours at the Observatory, we ask visitors to be mindful that staff and guest meals are usually served at 8.30 a.m., 1 p.m. and 6 p.m. and there may therefore be no-one around to assist you at these times. 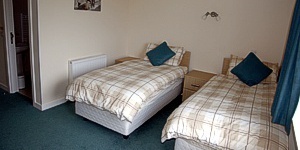 Shower and toilet facilities are available for non-residents to use. There is a £6 charge for showers (towel and soap provided), £3 with own towel. "Most relaxing holiday in years. Will be back and will recommend to all my friends! 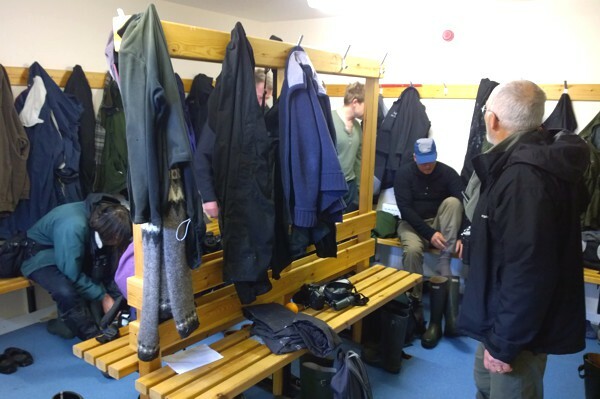 It's not just for birders." From a visitor questionnaire . 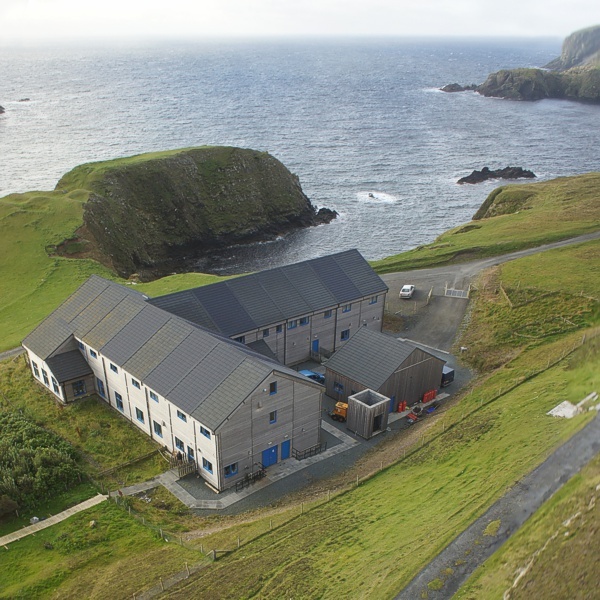 It's Britain's most remote inhabited island - a wild outcrop of raw Shetland coastline, peat moors, Puffins and friendly crofters - and it now has a hotel. © FIBO 2019. 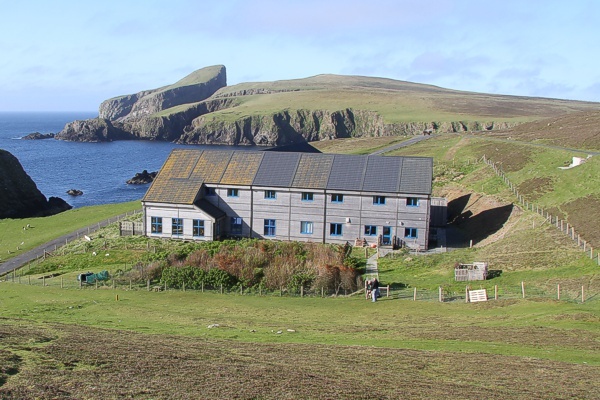 Fair Isle Bird Observatory is run by an independent charity, Fair Isle Bird Observatory Trust (a registered Scottish charity SCO 11160).